Winner of the Reader Poll for Best of BCS Year Four! We now have a winner in the Reader Poll to pick a story for The Best of BCS Year Four anthology! The winner is “Held Close in Syllables of Light,” by Rose Lemberg! From BCS #80. A great story of a young lady, burdened by family expectations, traveling to a foreign land to secure a trade concession for her house. Congratulations! Thanks also to all our readers who voted, and to the authors of all the other stories, especially the other finalists. Here are the five finalist stories in the reader poll for The Best of BCS Year Four, alphabetical by author, from the first-round voting last week on the BCS Website. Which of these five stories from the fourth year of BCS is your favorite? The final vote between these five finalist stories is in a poll question at the bottom of this post. The winning story will be included in The Best of BCS Year Four. The poll vote closes Fri. Aug. 2. Get your vote in soon, and look for The Best of BCS Year Four out this fall. Our Reader Poll last year for a story to go into The Best of BCS Year Three anthology was so much fun that we’re doing it again this year! 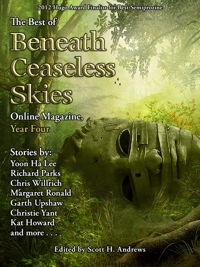 In this poll, readers and fans will get to pick a story for inclusion in the upcoming Best of BCS, Year Four anthology. How It Works: Voting is in two rounds–this first round here in this post, where you can vote for five (5) stories out of all 32 eligible stories (see below), and a second round run-off poll on the BCS Facebook page between the five stories that get the most first-round votes. To vote in the first round: Post a comment in this thread, listing your favorite five stories from the third year of BCS. First-round voting has closed. Second-round voting, between the five finalist stories, will take place here on the BCS website, in a poll question on a News post. The poll closes Fri. Aug. 2. Vote here. “Gone Sleeping,” by Hearther Clitheroe. It will be included in The Best of BCS, Year Three anthology. Congratulations! And thanks to everyone for voting, both in the first round here on the BCS website and in the second round on Facebook. Look for The Best of BCS, Year Three out this fall, in Kindle Store, Weightless Books, B&N, iBooks, and all the other ebook retailers that carry the other BCS anthologies. The second and final round of voting between these five stories is now open as a poll question on the BCS Facebook ‘Like’ page. To vote in the final round: go to this poll question on the BCS Facebook ‘Like’ page. The poll closes Friday night, Aug. 10, at midnight PST. Final-round voting is now closed. Thanks very much for making your voice heard, and look for The Best of BCS, Year Three this fall! Our Reader Poll last year for a story to go into The Best of BCS Year Two was so much fun that we’re doing it again this year! 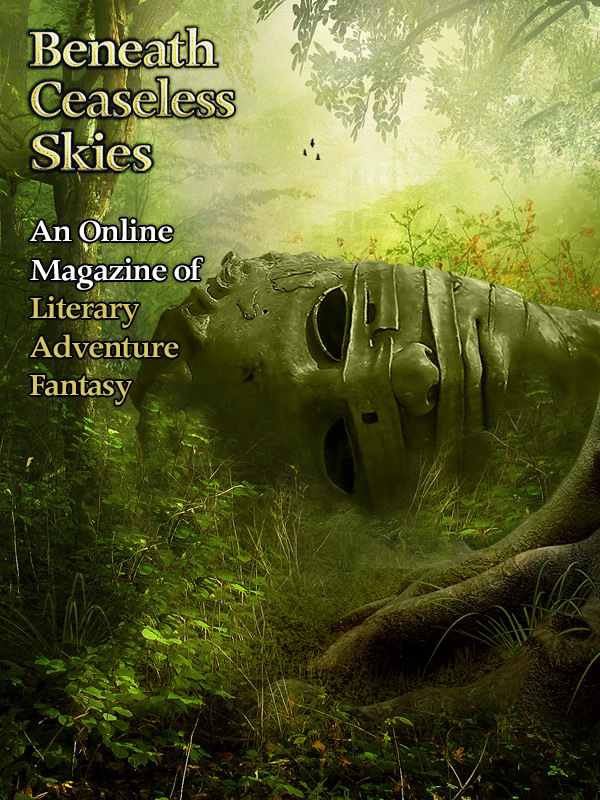 In this poll, readers and fans will get to pick a story for inclusion in the upcoming Best of BCS, Year Three anthology. How It Works: Voting will be in two rounds–this first round here in this post, where you can vote for five stories out of all 28 eligible stories, and a second round run-off between the five stories that get the most first-round votes. To vote in the first round: Post a comment in this thread, listing your favorite five stories from the third year of BCS. (That’s Issue #53 through Issue #78. A full list of the stories is in this post below the More tag). First-round voting is now closed. Second-round voting, between the five finalist stories, is now open on the BCS Facebook ‘Like’ page, in this this poll question on the BCS Facebook page. Voting for the second round ends this Fri., Aug 10, at midnight Pacific Time. The winner of the Reader Poll for the Best of BCS Year Two anthology, held on the BCS Facebook page, is “Pawn’s Gambit,” by Adam Heine. Congratulations! 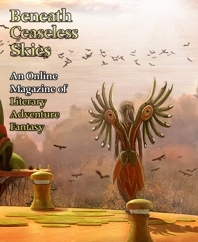 Thanks to all for voting, and look for The Best of BCS Year Two anthology this fall. Reader Poll for Best of BCS Two Ends Tonight! The first round of voting in the Reader Poll to pick a story for the Best of BCS Year Two anthology ends tonight, Thursday July 7, at midnight Pacific Time. So if you want to vote your favorite five stories into the final round of voting, make sure you vote today!